Science and education are bound together at the latest since Wilhelm von Humboldt proclaimed the principle “Bildung durch Wissenschaft” (“educating inquiring minds”) – and so are Open Science and Open Education. However, providing freely accessible learning material goes far beyond academia and the impact of Open Education can be tremendous: more inclusive learning and teaching, less redundancy, more reuse, better teaching materials and practices, increased outreach, and so forth. In 2017 the Barcamp Open Science seeks to bring together actors that are involved or interested in Open Science and Education from different perspectives. The Barcamp provides a forum to discuss the practice of Open Science and Education as well latest developments and their future. The Barcamp will take place on 12 March, 2017, in Berlin, the day before the Open Science Conference (13 to 14 March). It is organised by the Leibniz Research Alliance Science 2.0 in cooperation with Wikimedia Deutschland. The Barcamp is open to everybody interested in Open Science and Open Education: researchers and practitioners, teachers and librarians, individuals from industry or the public sector. We invite participants from different areas and backgrounds to exchange their knowledge and experience with Open Science and Education. The Barcamp will bring together novices and experts and its open format supports lively discussions, interesting presentations, development of new ideas, and knowledge exchange. Come to Berlin to discuss the present and future of Open Science and Education! To help stimulate debates and ideas for the sessions Annekatrin Bock will give a short ignition talk. Today, schools need to prepare students for more rapid economic and social change than ever before, for jobs that have not yet been created, to use technologies that have not yet been invented, and to solve social problems that we do not yet know will arise.” (OECD 2015: 3). Claims like these pose a challenge to contemporary education and schooling. Right now, schools are being forced to ‘open up’ and integrate digital media into the classroom in order to foster digital competencies. Now is the time to introduce and implement Open Educational Practices! But what is holding us back? Why is it so hard to introduce open educational resources and the idea of a “Kultur des Teilens” (culture of sharing)? The ignition talk will tackle these questions in linking the societal debates around Open Education and Open Science. 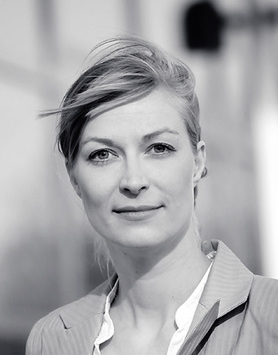 Annekatrin Bock is a media and communication researcher and deals with questions of media change in society. On the intersection of media and communication studies, media sociology, and cultural studies she investigates ‘practices of open education’ in and out of schools. 12 March 2017, 9:00 a.m. – 6:00 p.m.